Sorts and Mingle is an interactive icebreaker that helps people recognize common and unique interests and preferences. The speaker calls out various categories and everyone moves toward various parts of the room, finding people with similar tastes as them. 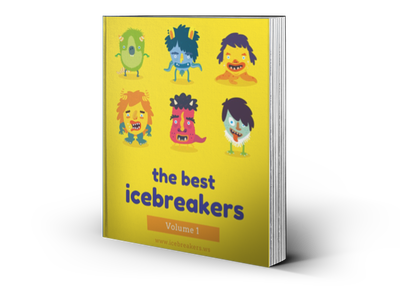 This game is classified as a get-to-know-you icebreaker with a little bit of active movement (walking around the room, meeting and talking to others). Recommended group size is: medium, large, or extra large. Can be played indoors or outdoors, but indoors is ideal. No special materials are required. No mess. For ages ten and up. There are two parts to this icebreaker. The first half is the “Sorts" game. The moderator tosses out two contrasting choices and everyone must move either east or west of the room (for example. “Do you prefer Nature or Cities?") Then the moderator shouts out two more choices and everyone moves north and south of the room. In this way, each person must move to somewhere and can’t get “lost" in the crowd. Some sorts that work well include: dogs vs. cats, books vs. movies, sweet vs. salty, casual vs. dress up, inside vs. outside; be on the stage performing vs. in the audience watching, and so on. The second half of the icebreaker, the “Mingle” game, works as follows: The moderator shouts out a general category and the group is asked to mingle around to find others that have the same answer and they clump up to form a larger group. After about thirty seconds to one minute, the moderator asks each group call out their answer. If a person is unique and is the only one with an answer, that’s okay. Examples of mingles: your favorite place on Earth; your favorite dessert; the kind of animal you like best; if you could have dinner with someone, who would you choose; your favorite hobby; if you could be anyone, what would it be? Both halves of this game help people introduce themselves in a fun, interactive format.